When warm weather beckons you outside, these flooring choices for exterior spaces will make for a beautiful and enduring setting. Enhance your outdoor living space by installing a beautiful new floor using natural stone, man-made tile, or even carpet! Read the following recommendations from us here at D&S Flooring for some inspiration and drop us a line if you want some professional direction and/or installation in creating an even more welcoming exterior space for your home or business. Part of the natural stone family, granite is the hardest and least porous of all the natural stones. Granite is an igneous rock which means it was formed from lava. Tell that to your guests next time they compliment you on your floor! Granite is rough cut from quarries into blocks or slabs of specific length, width, and thickness and then finished for its final presentation. Because granite is hard enough to resist abrasion, strong enough to bear significant weight, inert enough to resist weathering, and accepts a brilliant polish, its use dates as far back as ancient Egypt and is a prevalent building material today with many applications. It also holds up well in cold temperatures and adverse weather conditions, definitely suitable for the northeastern part of the United States where we are. Granite is available in beautiful color variations from white to black. Finishing options for granite include polishing, honing, flaming, as well as a leather/brushed application. A polished finish is high-gloss and reflective. Once polished, an added benefit is that granite is more resistant to stains. A honed finish is similar to a polished finish but presents a matte appearance. This finish is achieved simply by stopping at an earlier stage in the polishing process. A honed finish is recommended for flooring because of its ability to better hide foot traffic and the evidence of wear as well as reduce the risk of slipping. A flamed finish is achieved when extremely high temperatures (often supplied by a blowtorch) are introduced to the surface of the granite, causing the individual grains to burst and change color. The result is a rougher and more natural look. A leathered finish is similar to honed in that is presents a matte look without the reflective element of a polished finish. Unlike a honed finish, however, a leathered finish leaves pits and fissures on the surface giving a slightly bumpy texture. The latter two finishes mentioned are recommended for outdoor flooring as a rougher surface makes your granite flooring more slip-resistant. Additionally, a penetrating sealer is recommended to prevent water damage, caused by freezing and thawing. We sell granite products for outdoor flooring installation from the following companies: American Olean, Chesapeake Flooring, Daltile, and Interceramic USA. For even more about finishes, check out this page. Marble is the second hardest natural stone and slightly more porous than granite. Marble is a metamorphic rock which means it was once a caterpillar. Just kidding. Marble is a limestone that underwent high pressure and heat, and because of its formation process, marble is durable and resilient. It’s still porous, so it needs to be sealed to prevent degradation. 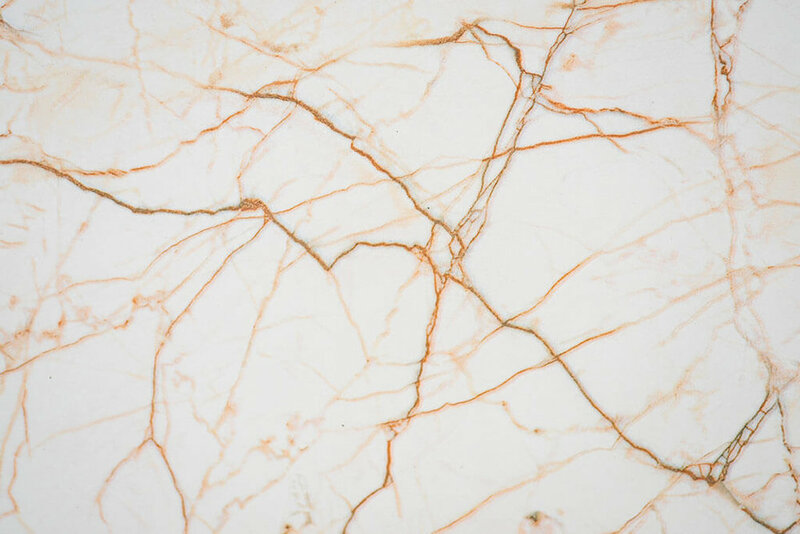 Marble is available in many color variations from white to black with beautiful veining. Finishing options for marble, which are similar to granite, include rough and polished finishes as well. In the polished category are polished, honed, or a combination of the two. In the rough category are ‘tumbled’ and leather/brushed edge finishes. These finishes present a more rustic or worn look. As far as the tumbled finish, the process consists of placing the marble tiles into a rubber drum that also includes things like rocks, sand, and water. The stone surfaces are bumpy when completed. Again for outdoor flooring, the tumbled or leather/brushed finish would be recommended to decrease the risk of slipping. We sell marble products for outdoor flooring installation from the following companies: American Olean, Chesapeake Flooring, Daltile, Interceramic USA, Marazzi USA, and Shaw Floors. 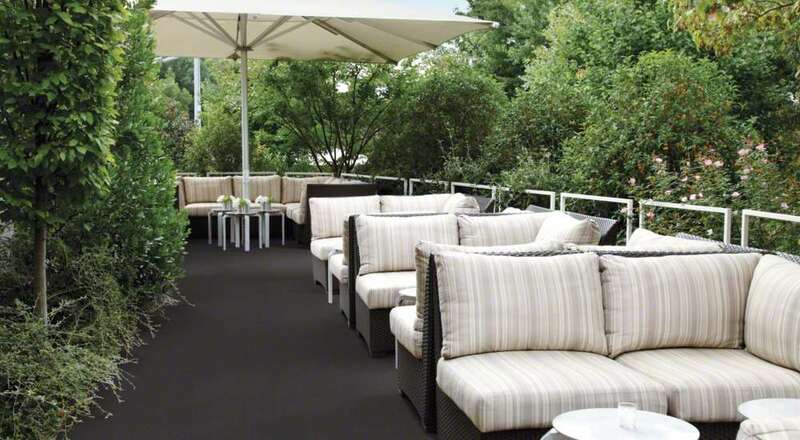 Slate is another viable outdoor flooring, famous for its durability and waterproof characteristics. We’re very familiar with slate being used as a roofing material. Like marble, slate is also formed through the metamorphic process but has a structure which enables it to be ‘cut’ or split along its foliation lines into smooth flat sheets. Its strong color variations create a lot of texture and visual interest. No two tiles are ever alike which is great for creativity though presents a challenge matching if a replacement is needed in the future. As such, it’s a great choice when you want contrast in your outdoor patio. Colors ranges are gray, green, orange, brown and tan. Finishing options for slate include natural cleft (manually split at the quarry), tumbled, polished, and honed. We sell slate products for outdoor flooring installation from the following companies: American Olean, Daltile, and Shaw Floors. Travertine is a limestone produced from the the interaction with chemicals over time. 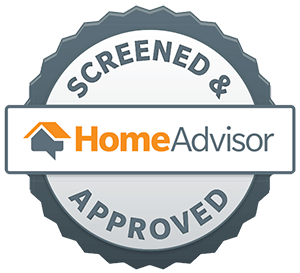 It’s a very porous material and must be sealed to prevent staining and water penetration. Travertine is available in rich colors from white to deep brown. Finishing options for travertine include tumbled and polished finishes. We sell travertine products for outdoor flooring installation from the following companies: American Olean, Chesapeake Flooring, Daltile, Florida Tile, Interceramic USA and Shaw Floors. Limestone is a beautiful stone with a rich, light-colored appearance. It’s a sedimentary rock formed mostly in warm shallow waters from the remains of skeletal organisms such as coral. Being readily available and easily cut into block, it’s a popular building material. In case you were wondering what the Giza Pyramids in Egypt were made out of, now you know they were built using limestone. Needless to say, limestone holds up very well against the elements over time making it an excellent option for outdoor flooring. If the great pyramid ruins still stand today, you can confidently install some limestone flooring over your backyard patio with confidence. Limestone is very porous, however, with visible pits in the stone, so it must be sealed for stain protection as well as freezing and thawing in cold weather climates. Limestone is available in colors from white to brown. Finishing options for limestone include tumbled and polished. We sell limestone products for outdoor flooring installation from the following companies: American Olean, Chesapeake Flooring, Conestoga Tile, and Marazzi USA. A clip from Florida Tile's porcelain tile printing process. Porcelain is a ceramic material created from clay heated in a kiln to between 2,200 and 2,600 °F. During the process, materials in the clay vitrify, which means they turn into a liquid/glass, making them impermeable to water even before glazing (melting a thin glass layer onto the tile). As an impregnable surface, porcelain tiles are excellent options for outdoor use. Further strengthening this feature through the process of glazing increases porcelain’s resistance to water and breakdown caused by freezing and thawing. Additionally, porcelain boasts a high break strength or PEI rating which means it is stiletto-heel resistant. As a man-made tile, porcelain comes in many styles from stone to wood to patterned looks thanks to innovative modern digital printing techniques. We recommend installing porcelain tiles with a textured finish outdoors to reduce the risk of slipping. See below for our list of porcelain tile manufacturers/distributors. 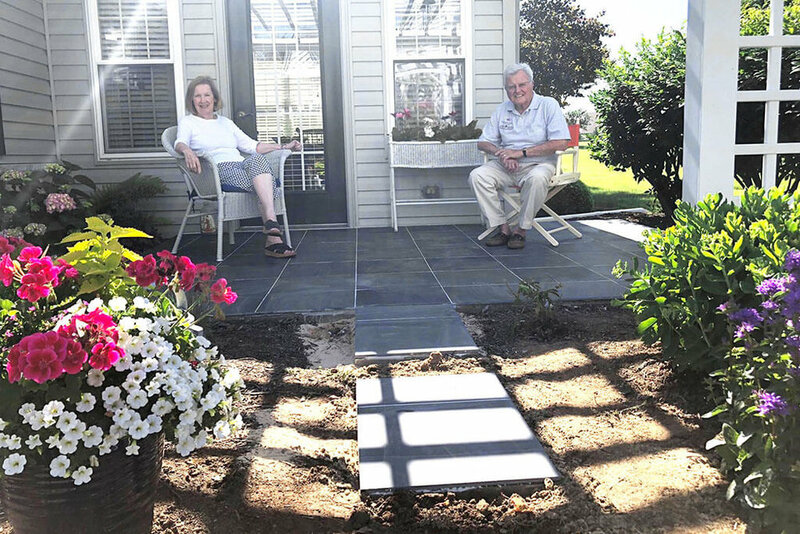 While most ceramic tile is not suitable for outdoors due to its permeability, lack of resistance to frost, and lower breaking strength, ceramic ‘quarry tile’ is a viable outdoor option where freezing temperatures and severe weather conditions are a factor. Quarry tile is fired at temperatures over 2,000 °F making its surface mostly impregnable. The main difference between porcelain and quarry tile is quarry tiles have an unglazed surface. Quarry tiles come in red, brown, gray, or tan colors and can have a smooth or rough finish. See below for a list of quarry tile manufacturers/distributors. Don’t forget about outdoor carpet! 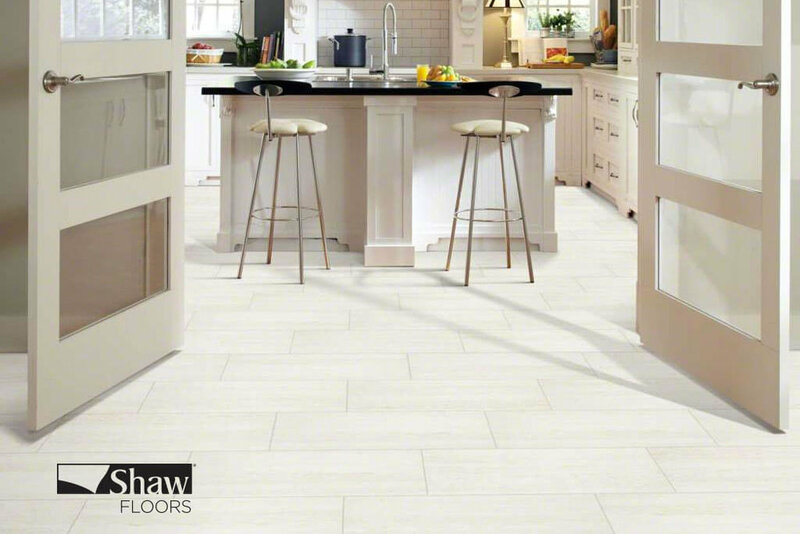 Shaw Floors, one of our major flooring suppliers, carries a line of needlebond and tufted indoor/outdoor carpet perfect for adding a soft touch to your outdoor experience. Made out of 100% UV polypropylene, these products are crafted to resist weathering and mold when kept clean and dry. Carpet offers sound absorption and aesthetic value in high profile areas of pools, patios, porches, sunrooms, playrooms, basements, walkways, and even miniature golfing fairways. 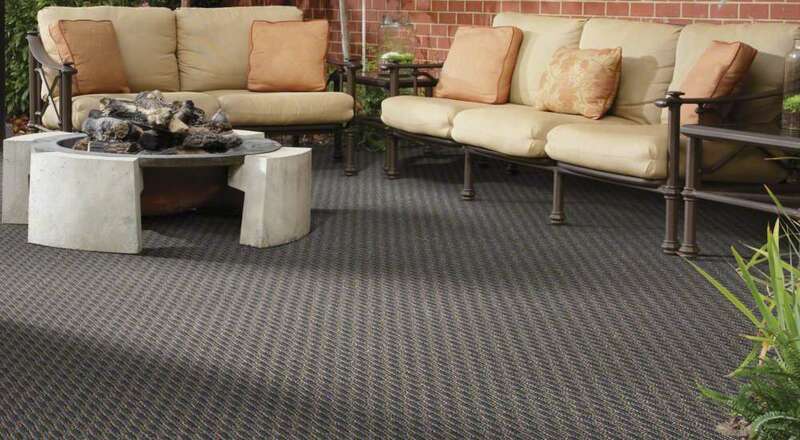 Carpet options for installation outdoors include artificial turf, tufted berber, and needlebond (needle punched) carpet. These come in wide variety of colors and color blends perfect for hiding dirt.